To enter a drawing, choose the contest from the drop-down menu and enter your information. This can be done for each drawing/contest. Creating multiple entries for the same contest will not increase your chances to win, and may deem the entry as spam. The Birthday Club, The Website Drawings, and On-Air contests consist of prizes being offered to participants selected on a random basis whereas a contest involves entrant participation and may require participants to use specific skills to solve or complete a specified objective in order to qualify for an award or submit entry material which will be judged using specific criteria. For all purposes hereinafter the term “Contest” shall collectively refer to both sweepstakes and contests. NO PURCHASE OR PAYMENT OF ANY KIND IS NECESSARY TO ENTER OR WIN. PURCHASE DOES NOT INCREASE ODDS OF WINNING. MULTIPLE ENTRIES DO NOT INCREASE CHANCES TO WIN. Eligibility and minimal age requirements vary depending on the nature of the contest. Subject to the specific contest rules; all contestants must be at least 18 years old to be eligible to participate in contests that include hotel/motel accommodations, motor vehicles, boats, and/or air travel as prizes, and unless otherwise stated in the Official Contest Rules, no one under the age of thirteen (13) will be permitted to enter any contest. Fun Radio Contests are open legal residents of the fifty (50) United States and the District of Columbia. If you are not a permanent resident of one of the 50 states or you are not the required age as of time of entry, you are not eligible to enter the Contest or to win a Prize. Do not enter any contest if you are not located in the United States at the time of entry. Odds of winning are random. Refer to the specific contest’s Official Contest Rules for more details and exact eligibility requirements. Fun Radio may from time to time conduct contests concurrently and simultaneously on several participating radio stations owned and not owned by Fun Radio, and in various States, and Fun Radio may add or remove participating stations or change call letters of any participating station at any time during a contest as announced on the affected station. For a list of participating stations for each individual contest, please visit the offices of this Station during normal business hours or refer to the official contest rules. The Contests are administered by Fun Radio unless otherwise specified in the official rules and any questions, comments or complaints regarding the Contest must be directed to the contest administrator, unless otherwise specified. Entrant(s) acknowledges and understands that any information provided will be used for administering the Contest and in accordance with Fun Radio privacy practices. Fun Radio together with the contest sponsor(s), promotional partner(s) and administrator(s) are herein collectively referred to as the Contest Entities. 1. Description of Fun Radio Contest Procedures and Participation. Fun Radio will run several online; live on-air and other various contests throughout the year on its radio stations. For these Contests, the Contest Period, duration and timing will be identified by the on-air host at the time the Contest is announced or otherwise disclosed on air or in the specific contest rules. Contest dates will vary from contest to contest as determined by the Station, please refer to the official contest rules for the respective contest to determine the “Contest Period” and other material terms applicable to the contest. For contests with text-message based entry, entrants will be asked through on-air announcements, or via web, or texted message, or emailed message, to provide certain information via a text message submission to the short code announced or otherwise stated in the Contest’s Official Rules. For call in to win contests, a “sounder” or cue to call will be aired randomly at various times along with a message instructing listeners to call for a chance to become a winner. 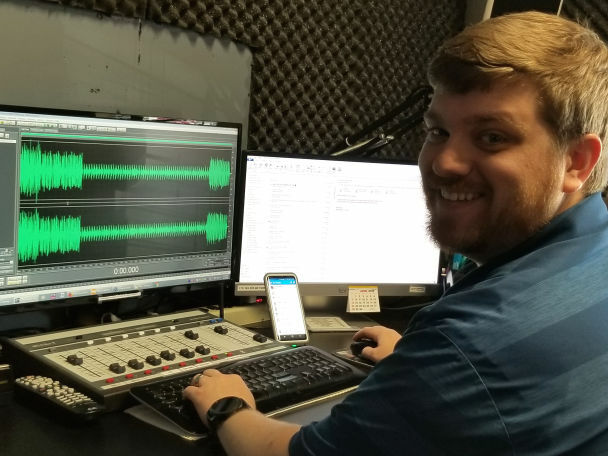 Listen to the Station weekdays for the DJ to announce the cue to call in and be the designated numbered caller to the Station’s contest line. The correct caller will either automatically win the announced prize or be required to perform a task (i.e., answering a trivia question correctly), as determined by the Station and announced during the cue to call to win. Prizes for Call In to Win or “Cue to Call” Contests conducted by the Station will vary and be announced prior to the cue-to-call in. The various prizes awarded will normally range between $10 and $200 in approximate retail value. The cue to plays announced may at times also be for a qualifying spot to participate in a Grand Prize Event or drawing. Listen to the Station for details on specific giveaways and for the times to play. The dates, times, winner selection and prizes will vary with each station giveaway, as determined by the Station and announced during the cue to call. Winner must be the designated caller to the phone number announced; the designated caller, if eligible, will be a winner. If Fun Radio determines the designated caller is not eligible, Fun Radio may select the next consecutive eligible caller as the winner for that playtime. Listen to the participating stations for details on specific times to play. Contests broadcast on air are typically not valid on weekends and holidays unless otherwise mentioned in the specific contest’s rules or announced on air. Contest participants should not rely on streamed broadcasts in order to participate. Listeners may be listening via the Station stream on the Internet: please be advised that you may be listening to a delayed stream of the radio signal, which may vary depending on your computer’s memory capacity and the speed of your internet connection. For that reason, we strongly recommend that you turn on your radio to the Station to participate in any call-in contest to be sure you are participating in “real time.” Fun Radio assumes no responsibility for contestants not making timely phone calls to the station as a result of the delays in the Internet stream. WARNING: Due to the nature of our programs that are heard on-line over the Internet, contests heard on the radio station’s Internet audio stream are slightly delayed from the time the contests heard on the broadcast station, and will be running behind the broadcast signal. Thus, all contests heard are delayed. This delay may last up to several minutes. This means that when the broadcast station announces the cue to call or text for a contest, listeners to the on-line audio stream will be at a greater disadvantage in participating over those listeners who hear the contests on a conventional FM radio. For Register online to win contests start by logging onto the Station’s website during the stated contest period and follow the contest links to complete the on-line registration form. Valid contest entries must contain all information requested and must be received by the Website’s administrator on or before the deadline for registration. Limit one (1) online entry per name and/or verified email address unless otherwise stated in the specific contest rules. OF POTENTIAL WINNERS ARE FINAL AND BINDING IN ALL MATTERS RELATED TO ANY CONTEST. In the event that a valid winner cannot be determined or verified, Fun Radio in their sole discretion shall reserve the right to randomly select the potential Contest winner(s), from the eligible entries received or played on or before the registration deadline stated in the Official Rules when any circumstance has occurred causing the validity of a winner or the verification of such has been compromised. Contestants may contact their local station to determine eligibility requirements for a specific contest or visit the Station’s website for more information. Entrant participation and how the winner will be determined will vary depending on the contest as established by the Station and announced accordingly. Please refer to the on air announcement for specifics on participation and how a winner will be determined for the various contests. Typically only one entry per person per household is permitted for the duration of the Contest. Entries are subject to any applicable restrictions or eligibility requirements as specified in the Official Contest Rules for the particular contest of interest. Entries will be deemed made by the authorized account holder of the email or telephone phone number submitted at the time of entry and qualification. Use of any device to automate entry is strictly prohibited. Fun Radio is not responsible for entries not received due to difficulty accessing the internet, service outage or delays, computer difficulties and other technological problems. Proof of submission of an entry shall not be deemed proof of receipt by the website administrator for online entries. Fun Radio is not responsible for lost, late, illegible, misdirected, mutilated, postage-due or incomplete entries or mail. Multiple participants are not permitted to share the same email address. Should multiple users of the same e-mail account or mobile phone number, as applicable, enter the Contest and a dispute thereafter arise regarding the identity of the entrant, the authorized account holder of said e-mail account or mobile phone account at the time of entry will be considered the entrant. “Authorized account holder” is defined as the natural person who is assigned an e-mail address or mobile phone number by an Internet access provider, on-line service provider, mobile service provider or other organization which is responsible for assigning e-mail addresses, mobile phone numbers or the domain associated with the submitted e-mail address. Proof of submission of an entry shall not be deemed proof of receipt by the website administrator for online entries. When applicable the website administrator’s computer will be deemed the official time keeping device for the Contest promotion. Contest entries must contain all information requested and must be received on or before the deadline for registration to be deemed valid. All Entries become the property of Fun Radio and will not be acknowledged or returned.